I posted this picture and some others to my Westfalia blog. I really like this picture so I though I’d also post it here :). 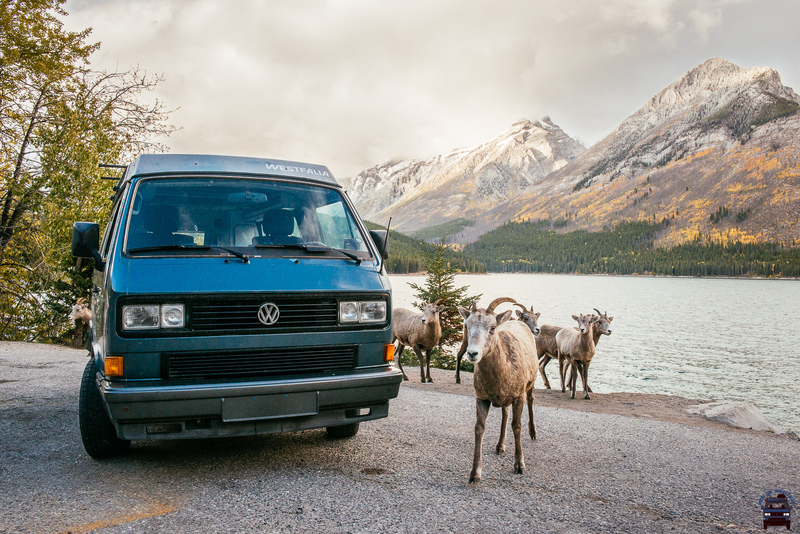 If you want to see a couple more pictures of these goats swing by, (letsgowestfalia.wordpress.com). This entry was posted in Nature, Travel, Wildlife and tagged 24-70mm, Alberta, amazing, autumn, Banff, beautiful, Canada, canadian, D800, D800E, DSLR, fall, friendly, goat, goats, lake, landscape, mountain, mountains, National Park, nature, Nikkor, Nikon, photo, Photographer, Photography, pretty, sheep, Vanagon, vdub, VW, Westfalia, wildlife, yyc. Bookmark the permalink. We saw the goats too, near Lake Minnewanka.